As you can see above ... tickets for this event are now on sale! Hello ... Hello ... my old friends ... It's great to see you once again! 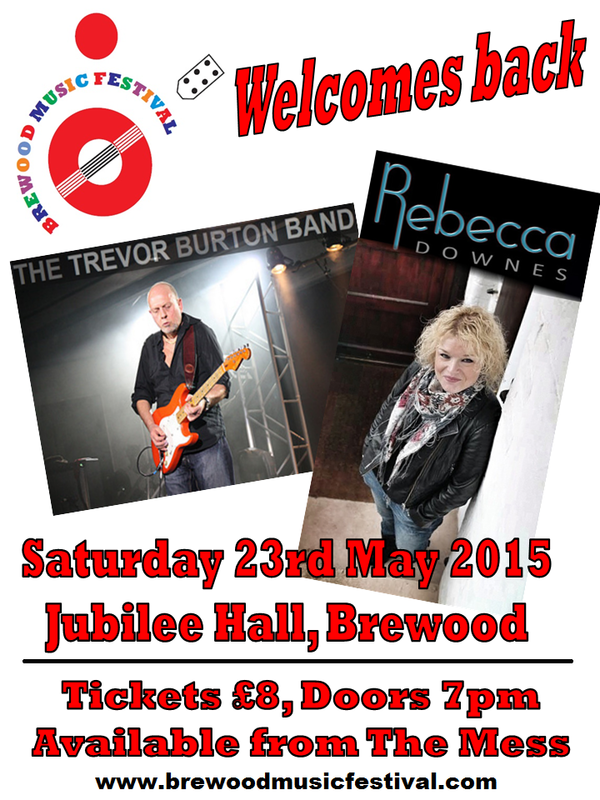 Our friends at Brewood Music Festival have just announced that both The Trevor Burton Band [featuring, of course, the much respected co-founder of The Move: Trevor Burton] and Rebecca Downes are returning to the Staffordshire village after their successful performances at the acclaimed festival last year. ELO Beatles Forever [ELOBF] recommends The Trevor Burton Band and Rebecca Downes to those enlightened folks who enjoy the music of ELO, Jeff Lynne, Roy Wood, The Move, The Idle Race, 'Brum Beat', The Beatles and related artistes.